Blueprint scanning is tremendously important for many businesses. 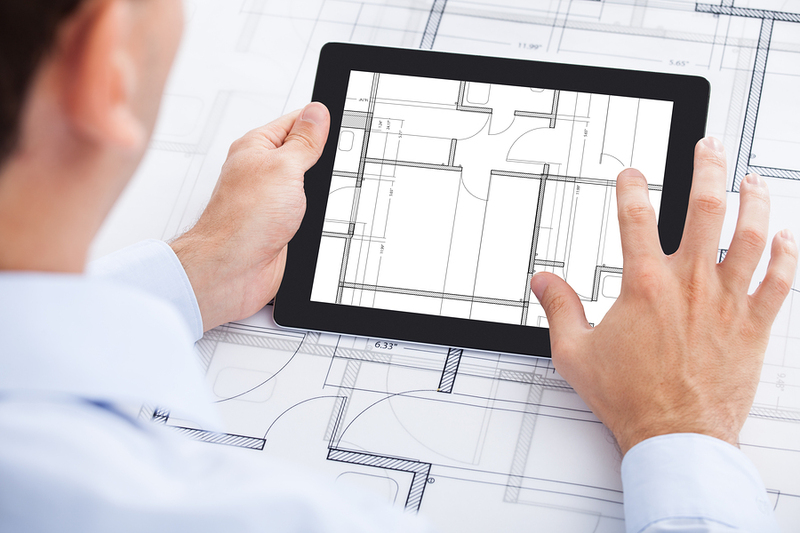 With the transition to paperless offices and digital presentations, having the ability to convert blueprints into digital format will allow you to share blueprints with decision makers and allows you to make additional changes quickly and easily. That’s where a blueprint scanning service can help you- it gives you the ability to convert your blueprints to digital format without having to deal with the hassle and labor required to do this type of conversion in-house. There are some challenges with blueprint scanning that makes it difficult to scan your blueprints internally. One of the biggest issues is that most blueprints are wide-format, so any traditional scanner would have to piece together multiple scans of the same blueprint to convert it to digital. The other hindrance is any state or or federal requirements that dictate the type of file and the resolution that your digital blueprints need to maintain. Certain states and federal agencies have Electronic Record Keeping Requirements that need to be adhered to for all your digital files. Our experts can do all the prep work for you, from removing staples and rubber bands to repairing damaged blueprints and scanning older documents. Keep in mind that additional prep work may add to the total cost of the project, so be sure to ask about the prep work you require when you choose your provider. Once you have identified the blueprints, file type, and what type of format you require (color, gray-scale, black and white bi-tonal, etc), we’ll start your project. We can scan both sides of any blueprint, and provide them in virtually any format you require. Every image is indexed to make it easier to find. One of the biggest advantages to digital versions of your blueprints is that they’re indexed and stored in any method or manner you choose. This saves you the time that it takes to hunt down the specific blueprint you need, and creates a ton of space to help you find documents and blueprints you might want to keep on hand easily. Our experts can also create editable blueprints- with optical character recognition blueprints can be electronically edited, searched, stored more compactly, and displayed online. It gives you the ability to create documents that can be easily manipulated and modified without having to re-scan in an altered blueprint. Once your blueprints are converted, we can deliver them in any format you choose- we can load them on an external hard drive, upload them to a secure cloud storage service, or even send them to you on a CD or DVD. A blueprints scanning service makes the process easy- all you need to do is tell us what you need, and we’ll deliver! Get Free, No-Hassle Quotes on Blueprint Scanning Today! No matter what size your blueprints are or how many you have, we can help you find someone that will be able to help you. Don’t miss the opportunity to make sure all of your blueprints are scanned and stored in the best, most efficient way possible. To receive a free quote today, ill out the form to the right, or give us a call at (866) 385-3706. Within minutes of receiving your request, you will have free quotes from experts in your area that can help you.